Jayam Ravi had announced through his microblogger that he would soon be directed by his dear friend director Vijay. This will be his 21st film. He tweeted, “Happy to be associated with my bro A.L.Vijay for my next. One of the nicest person. Looking fwd to this #jr21”. The Thani Oruvan hero is having a rich haul in his career now. 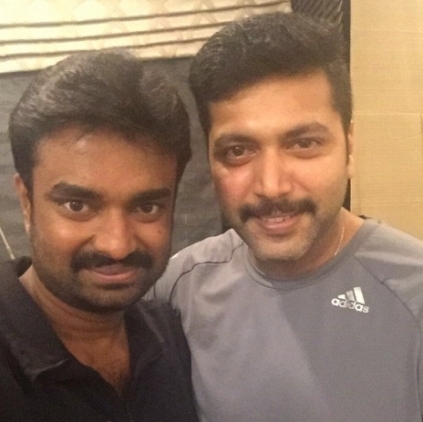 His first release for 2016 was the Shakthi Sounderrajan directorial Miruthan. He is now working in Bogan under his Romeo Juliet director Lakshman. Ravi also further adds that he always wanted to work with director Vijay but since the two were busy with their respective commitments, they could not team up earlier. It is also said that the film will be a massive action commercial entertainer that would elevate both their status to a national level. Other cast and crew details will soon be announced. Jayam Ravi's Miruthan Has Grossed Around 8 Crores At The TN Box Office. People looking for online information on AL vijay, Jayam Ravi will find this news story useful.